A perfect training hurdle for quick knee lift and stepping. 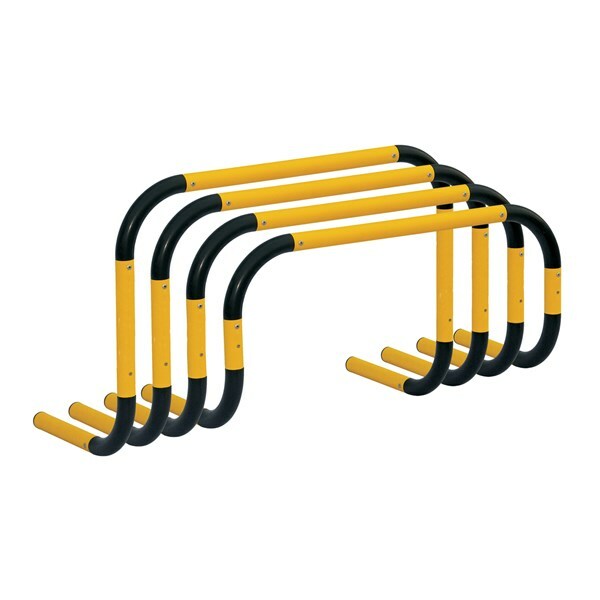 Position hurdles for agility drills, running drills and plyometric jumps. Use with forward and lateral drills. 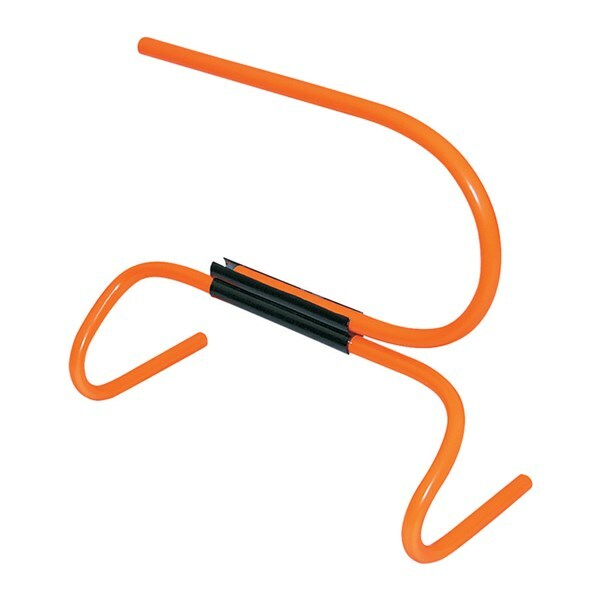 Constructed with durable heavy duty PVC tubing. Very light in weight. Available in four sizes. VTH-06E ...... ...... 6" Step Hurdle. One piece only. 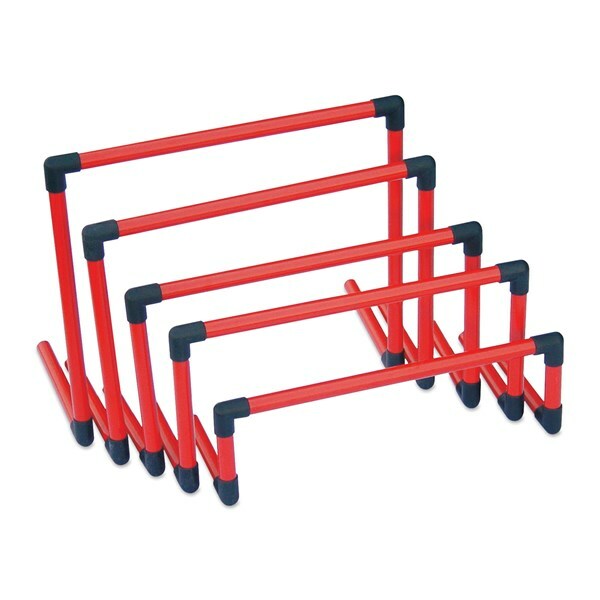 VTH-06S ...... ...... 6" Step Hurdle. Set of 6 pieces. 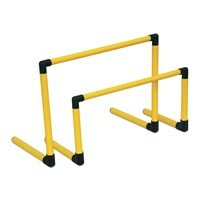 VTH-09E ...... ...... 9" Step Hurdle. One piece only. VTH-09S ...... ...... 9" Step Hurdle. Set of 6 pieces. VTH-12E ...... ...... 12" Step Hurdle. One piece only. VTH-12S ...... ...... 12" Step Hurdle. Set of 6 pieces. 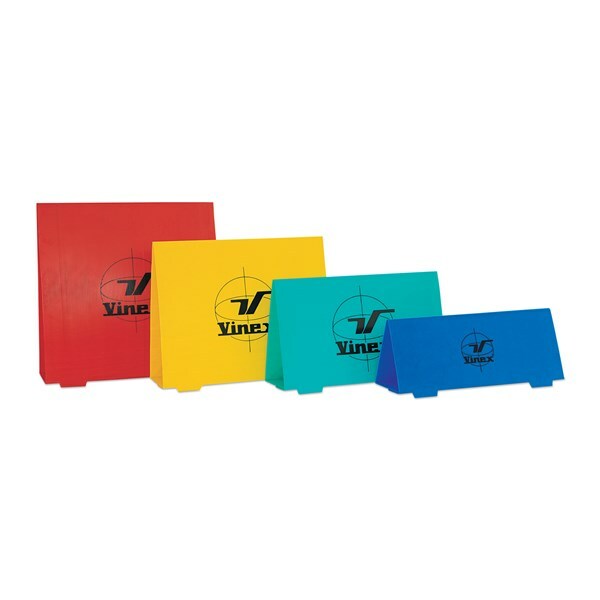 VTH-16E ...... ...... 16" Step Hurdle. One piece only. VTH-16S ...... ...... 16" Step Hurdle. Set of 6 pieces. VTH-CLIP ...... ...... Clip only. VTH-HE03 ...... ...... For increasing the height by 3 inches. Without Clip. VTH-HE06 ...... ...... For increasing the height by 6 inches. Without Clip. VTH-HE09 ...... ...... For increasing the height by 9 inches. Without Clip. This agility hurdle is made of Heavy Duty PVC tube can be adjusted to two different heights 9" & 12" or 12" & 20". 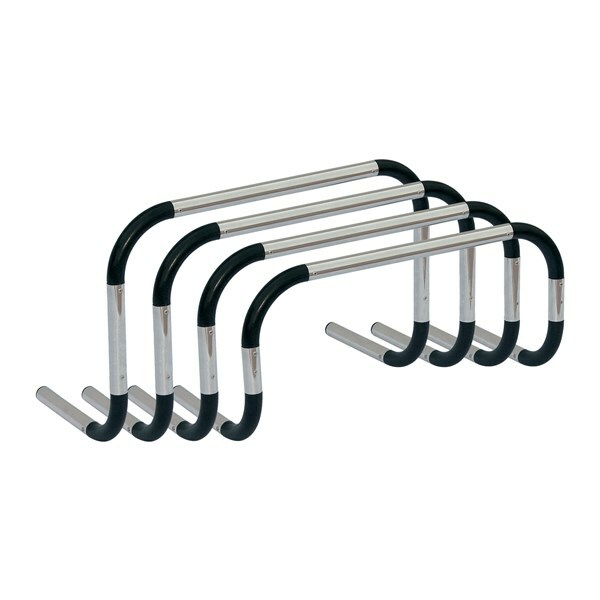 Height is adjusted by easy snap locking mechanism and twisting the hurdles foot. There is no need to detatch any part to change height. AGH-2N1PE ...... ...... Heights 6" & 12"	Each piece only. AGH-2N1PS ...... ...... Heights 6" & 12"	Set of 6 pieces. AGH-2012E ...... ...... Heights 12" & 20"	Each piece only. AGH-2012S ...... ...... Heights 12" & 20"	Set of 6 pieces. This agility hurdle is excellent for training purpose. An adjustable feature of this hurdle allows the trainer to practice on different movements with a single hurdle. 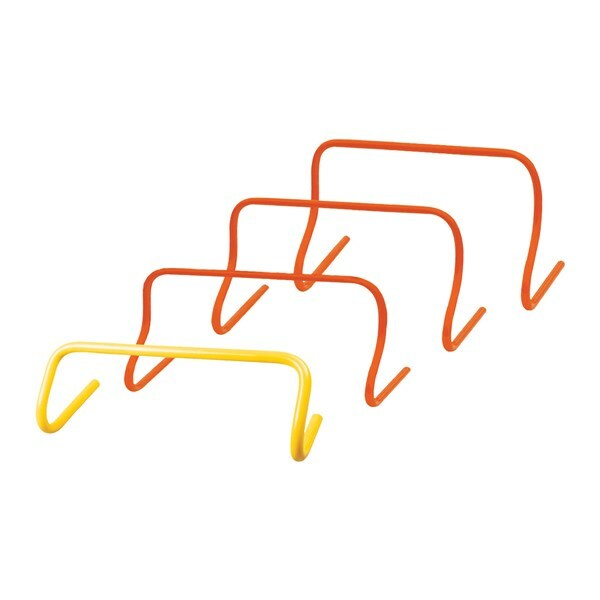 The hurdle can be adjusted to three different heights of 6", 12" and 18". Available in STEEL (Powder Coated ) and PVC. A perfect training hurdle for quick knee lift and stepping. Special feature of this hurdle is that it returns back to its position when knocked down. This eliminates time-breaks while doing drills. Made of special plastic and available in different heights and set options. WIDTH : 100 cm Other heights are also available on request, please ask for more details. 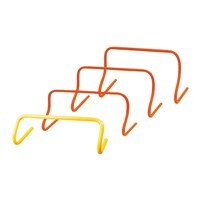 VBBH-LS3 ...... ...... Set of 3 hurdles 1pc each of 40 cm, 50 cm & 60 cm heights. 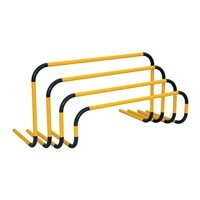 VBBH-LS4 ...... ...... Set of 4 hurdles 1pc each of 30 cm, 40 cm, 50 cm & 60 cm heights. A perfect training hurdle for quick knee lift and stepping. Special feature of this hurdle is that it returns back to its position when knocked down. This eliminates time-breaks while doing drills. Made of special plastic and available in different heights and set options. WIDTH : 60 cm Other heights are also available on request, please ask for more details. 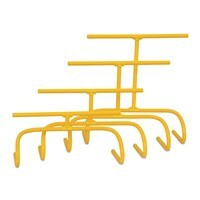 VBBH-LS360 ...... ...... Set of 3 hurdles 1pc each of 40 cm, 50 cm & 60 cm heights. 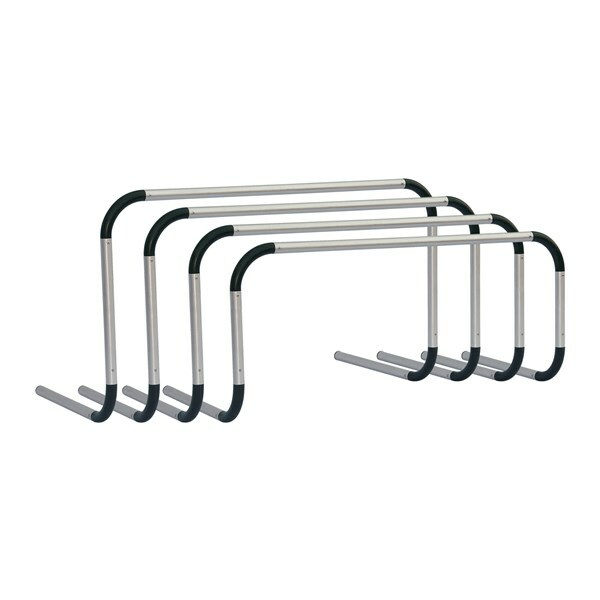 VBBH-LS460 ...... ...... Set of 4 hurdles 1pc each of 30 cm, 40 cm, 50 cm & 60 cm heights. 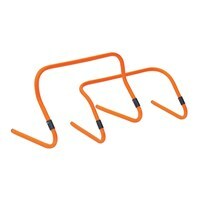 A perfect ALUMINIUM training hurdle for quick knee lift and stepping. Special feature of this hurdle is that it returns back to its position when knocked down. This eliminates time-breaks while doing drills. Available in different heights and set options. WIDTH : 100 cm Other heights are also available on request, please ask for more details. 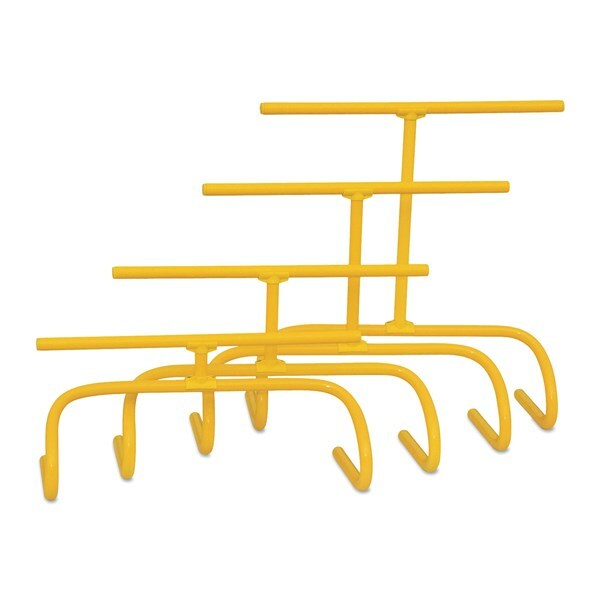 VBBH-ALS3 ...... ...... Set of 3 hurdles 1pc each of 40 cm, 50 cm & 60 cm heights. 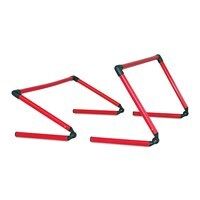 A perfect ALUMINIUM training hurdle for quick knee lift and stepping. Special feature of this hurdle is that it returns back to its position when knocked down. This eliminates time-breaks while doing drills. Available in different heights and set options. WIDTH : 60 cm Other heights are also available on request, please ask for more details. 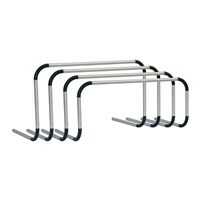 VBBH-ALS360 ...... ...... Set of 3 hurdles 1pc each of 40 cm, 50 cm & 60 cm heights. This is a single piece construction, fixed hurdles, lighter in weight than the bounce back hurdles. 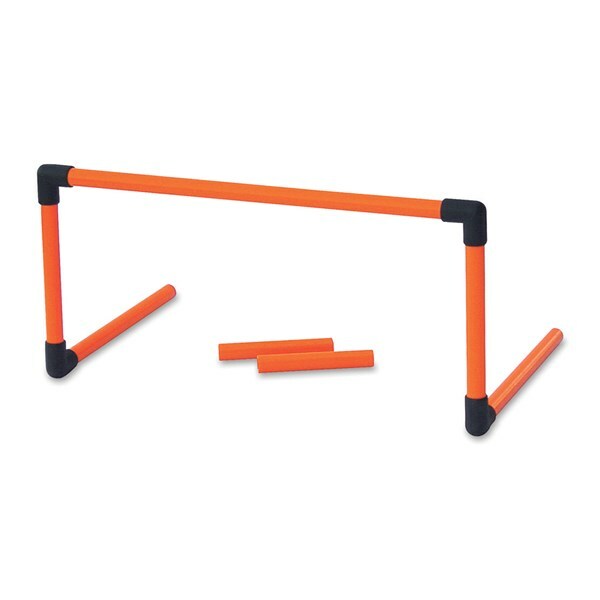 Lighter in weight than other bounce back hurdles. Special feature of this hurdle is that it returns back to its position when knocked down. This eliminates time-breaks while doing drills. Available in different heights and different colours. Width of the Hurdle is 60 cm. VBBH-US4 ...... ...... Set of 4 pcs (20 cm, 25 cm, 30 cm & 35 cm heights). 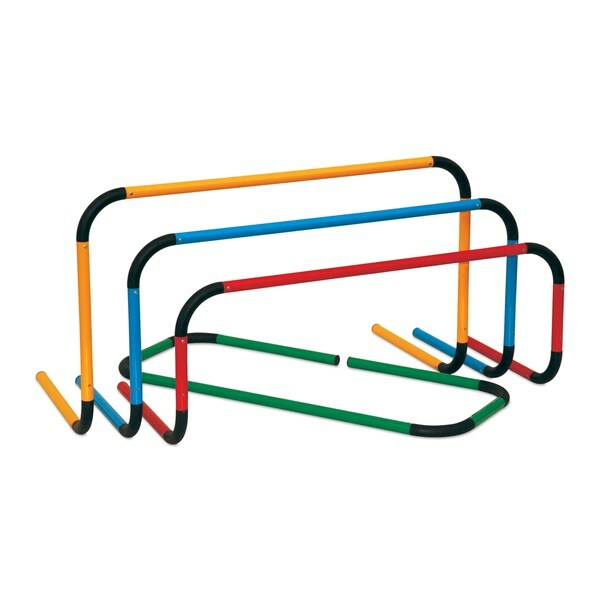 Agility Hurdle made of 25 mm PVC tube. 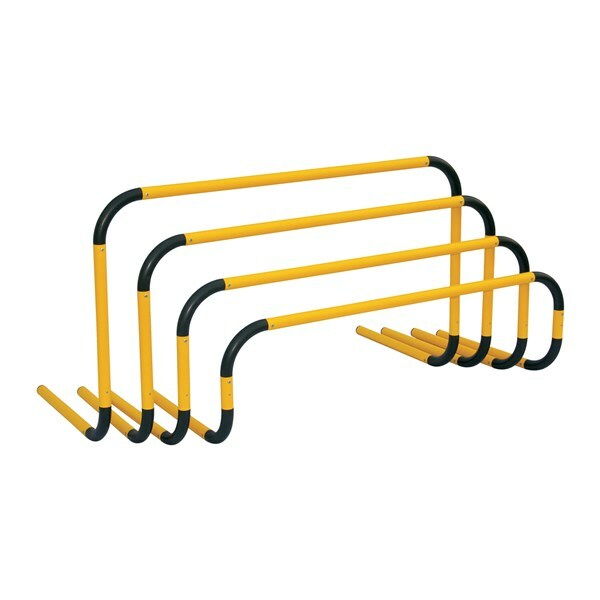 These Hurdles can be adjusted from 2.5" to 15" at different heights. AGH-CLP ...... ...... 1 Pc. 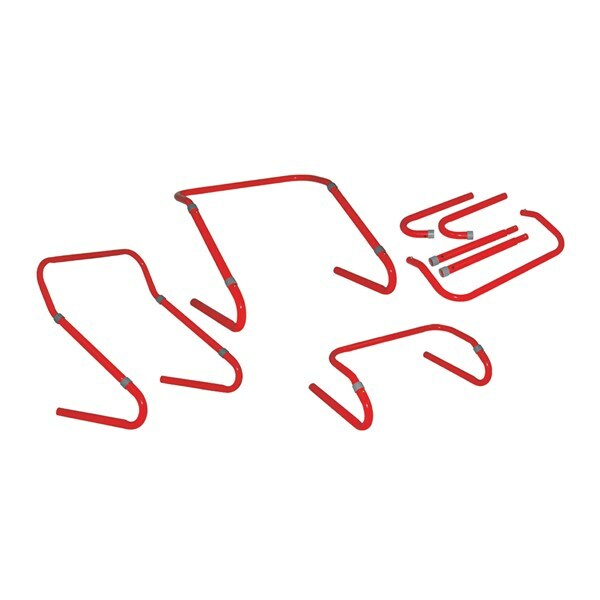 AGL-CLP6 ...... ...... Set of 6 pcs. 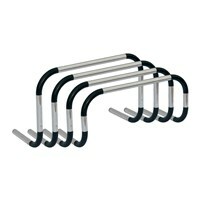 AGL-CLP6B ...... ...... Set of 6 pcs with carrying bag. AGH-HD0625 ...... ...... Height 6"
AGH-HD0925 ...... ...... Height 9"
AGH-HD1225 ...... ...... Height 12"
AGH-HD1525 ...... ...... Height 15"
AGH-HD1825 ...... ...... 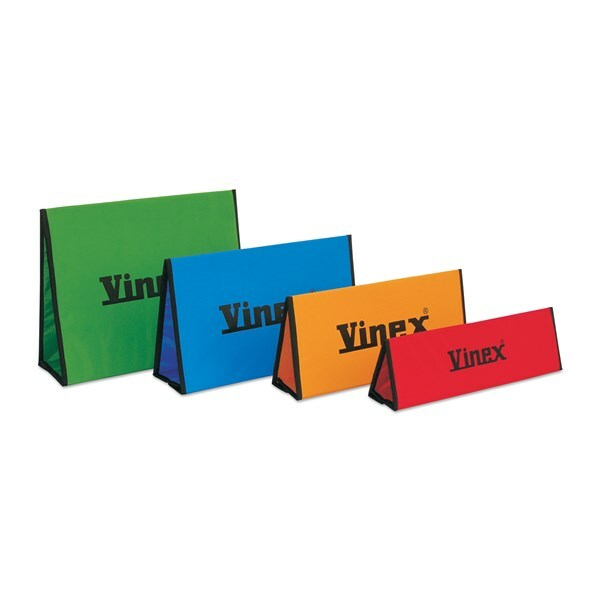 Height 18"
Foldable training hurdles made of board and heavy duty fabric with webbing on sides for strength. Good for indoor training. Available in different heights and assorted colours. FTH-FB06 ...... ...... 6" Height. 1 pc. FTH-FB09 ...... ...... 9" Height. 1 pc. FTH-FB12 ...... ...... 12" Height. 1 pc. FTH-FB16 ...... ...... 16" Height. 1 pc. FTH-FB16S6 ...... ...... 16" Height. Set of 6 pcs. Foldable training hurdles light in weight that fold flat for easy transportation and storage. Good for indoor training. Available in four heights - 20 cm, 30 cm, 40 cm and 50 cm. 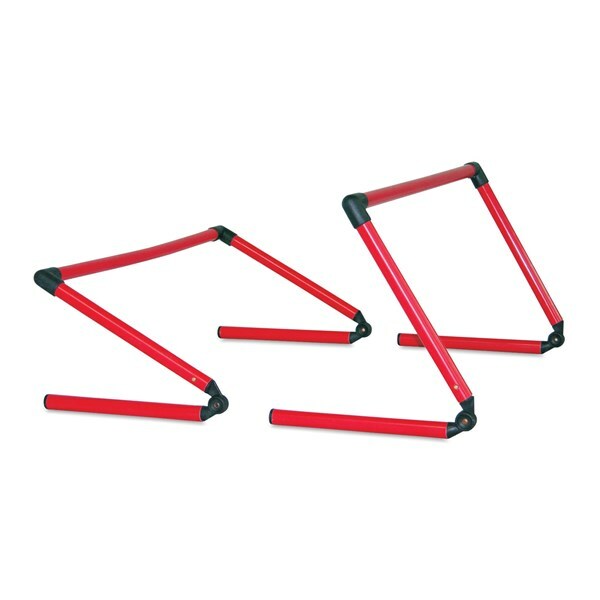 A perfect ALUMINIUM training hurdle for quick knee lift and stepping. Special feature of this hurdle is that it returns back to its position when knocked down. This eliminates time-breaks while doing drills. Available in different heights & colours. Other heights are also available on request, please ask for more details. Please confirm colour while ordering. 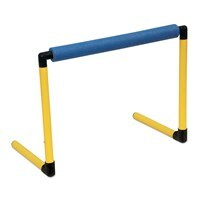 A perfect plastic training hurdle for quick knee lift and stepping. Special feature of this hurdle is that it returns back to its position when knocked down. This eliminates time-breaks while doing drills. Available in different heights & colours. Other heights are also available on request, please ask for more details. Please confirm colour while ordering. A perfect training hurdle for quick knee lift and stepping. 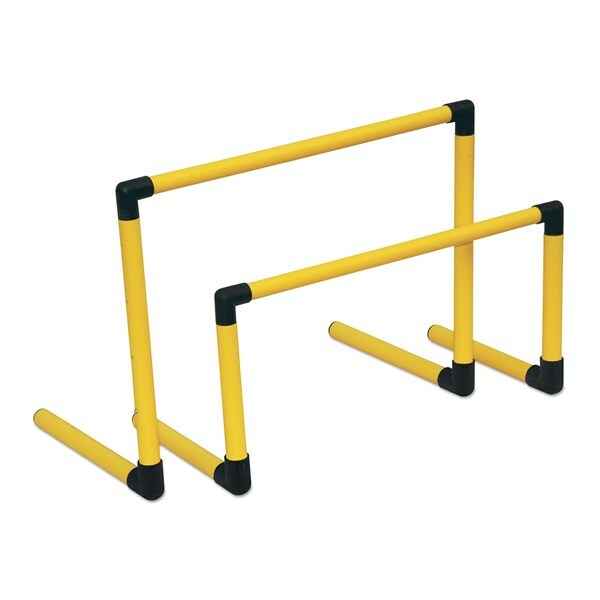 Position hurdles for agility drills, running drills and plyometric jumps. Highly versatile hurdle with flexibility to choose heights for training from one hurdle. 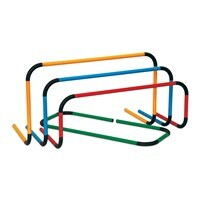 Constructed with durable heavy duty PVC tubing. Comes as a kit neatly packed in a bag. Kit includes: 6 x 6" High Hurdles, 6 x 3" / 6" / 9" Height Extenders (Total 18 extenders), 6 x Top Bar (40 cm wide), 1 x Zipper bag. Other colours are also available, please ask for more details. VTH-06HEK ...... ...... Height : 6"
AGH-TELC14 ...... ...... 1 pc 9" - 12" - 14"
AGH-TELC14PK6 ...... ...... Pack of 6 pc	9" - 12" - 14"
AGH-TELC14PK10 ...... ...... 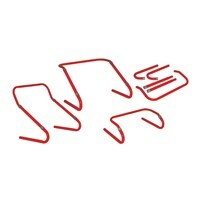 Pack of 10 pc 9" - 12" - 14"
AGH-TELC21 ...... ...... 1 pc 15" - 18" - 21"
AGH-TELC21PK6 ...... ...... Pack of 6 pc Size : 15" - 18" - 21"
AGH-TELC21PK10 ...... ...... Pack of 10 pc Size : 15" - 18" - 21"
AGH-TELS14 ...... ...... 1 pc Size: 9" - 12" -14"
AGH-TELS14PK6 ...... ...... Pack of 6 pc Size: 9" - 12" - 14"
AGH-TELS14PK10 ...... ...... Pack of 10 pc Size : 9" - 12" -14"
AGH-TELS21 ...... ...... 1 pc Size : 15" - 18" - 21"
AGH-TELS21PK6 ...... ...... Pack of 6 pc Size : 15" - 18" - 21"
AGH-TELS21PK10 ...... ...... 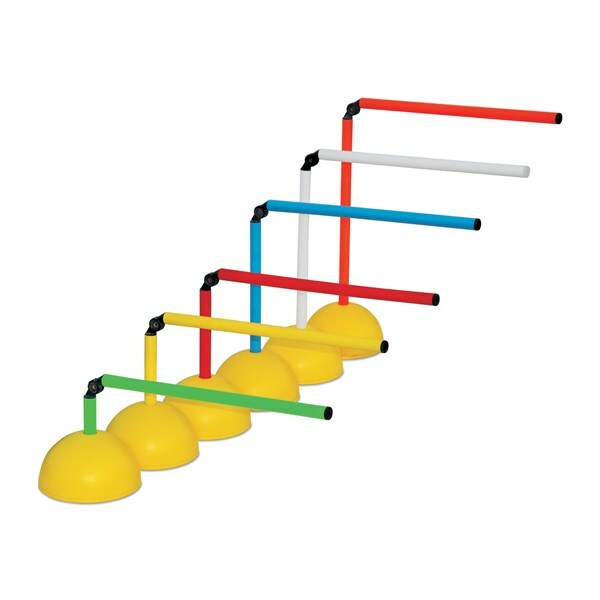 Pack of 10 pc Size : 15" - 18" - 21"
Agility Hurdle poles only made of 25 mm plastic tube. 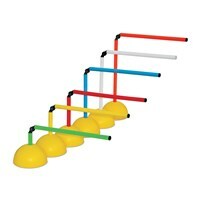 These poles can be used with plastic Dome Bases or Rubber Rounder Bases. Adjustable jointer in the middle so that the poles can be folded when not in use or for transportation. Available in different heights and colours. Dome bases or rounder bases are not included in the above sets, but can be ordered with set on special request. Please ask for more details.